Cabinet Affairs Minister Mohammed bin Ibrahim Al Mutawa stressed the great importance accorded by Bahrain to protecting Labour rights and improving the workers’ professional and living conditions so as to achieve the kingdom’s aspiration for sustainable development. 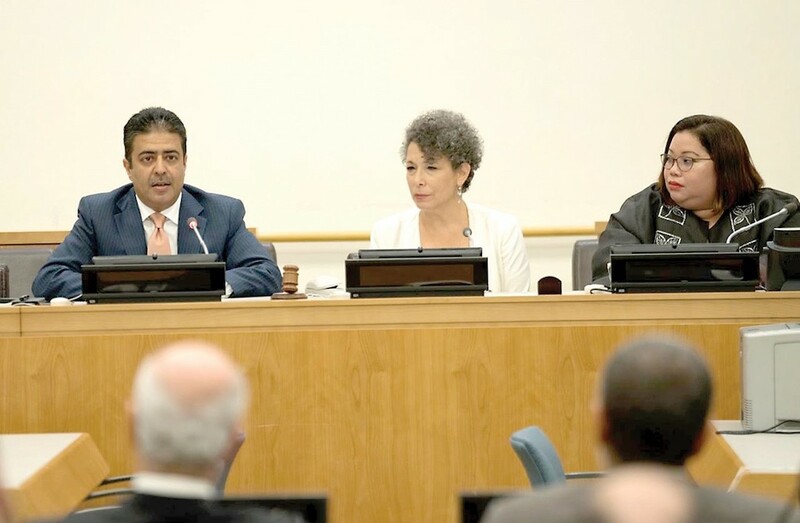 He affirmed that Bahrain’s commitment to protecting the labour rights is based on a set of contemporary laws that take into account the highest human rights principles. He pointed out that the expatriate workforce in Bahrain enjoys every care and respect in tribute for their efforts in the kingdom’s development process. 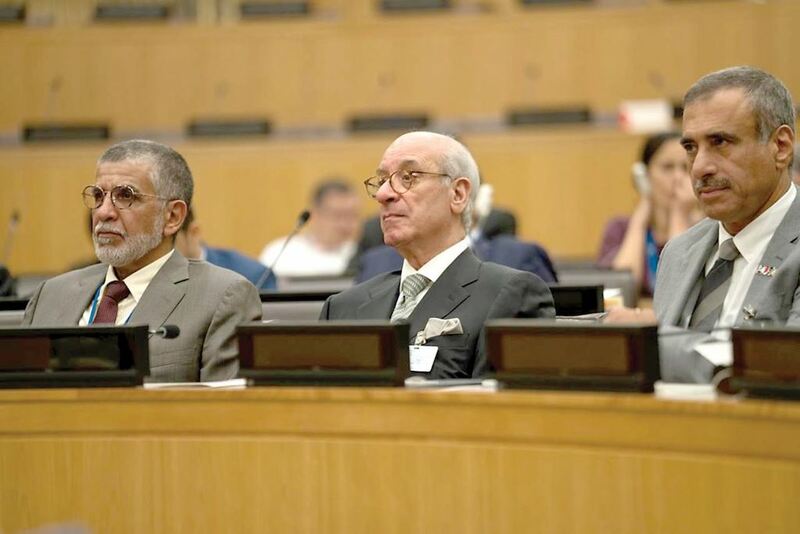 The Cabinet Affairs Minister was speaking at a panel discussion held by the Labour Market Regulatory Authority (LMRA) on the sidelines of the High-Level Political Forum (HLPF 2018) on sustainable development of the UN Economic and Social Council. Themed “Migration Governance in the GCC: Towards Inclusive, Safe and Resilient Societies”, the panel discussion is held at the UN headquarters in partnership with the Philippine government, and in cooperation with the International Organisation for Migration (IOM) and the Migrant Forum in Asia (MFA). The event cast light on the latest reforms of expatriate workers in the Gulf Cooperation Council (GCC) countries, with a special focus on Bahrain’s experience as one of the most successful international practices, and how these reforms would contribute to achieving sustainable development goals (SDGs). The two-hour panel discussion featured a presentation by Chief Executive Officer of the Labour Market Regulatory Authority and Chairman of the National Committee to Combat Trafficking in Persons, Ausamah bin Abdulla Al-Absi, who highlighted Bahrain’s experience in designing, implementing and evaluating the migration management reforms. Undersecretary for Migrant Workers Affairs at the Philippine Department of Foreign Affairs, Sarah Lou Y. Arriola, spoke on behalf of worker-sending countries. She shed light on the reality of migration in GCC countries, including the recent reforms in Bahrain, and ways to complement efforts and address gaps towards achieving SDGs. Michele Klein-Solomon, Senior Policy Adviser to the Director General of IOM reviewed the international best practices of migration management and linkages to SDGs. MFA’s Executive Director, William Gois, presented the perspective of non-governmental organisations focusing on migrant workers. The presentations were followed by an open group discussion that focused on the main challenges that deterred the migration management reforms from taking place in Bahrain before, and how the reforms are linked to SDGs. Discussions also focused on the benefits of the sponsorless labour migration schemes, the envisioned key challenges to be faced by employers, employees and governments with the current reforms. The measures taken to ensure that migrant workers are protected under the transition period, and the procedures adopted by Bahrain to evaluate the impact of the current reforms were also discussed, pointing out Bahrain’s ability to reach Tier 1 in the US Department of State Trafficking in Persons (TiP) Report for the year 2018. This entry was posted in BNA and tagged GCC, HLPF, IOM, MFA, New York, SDGs by Labour Market Regulatory Authority. Bookmark the permalink.